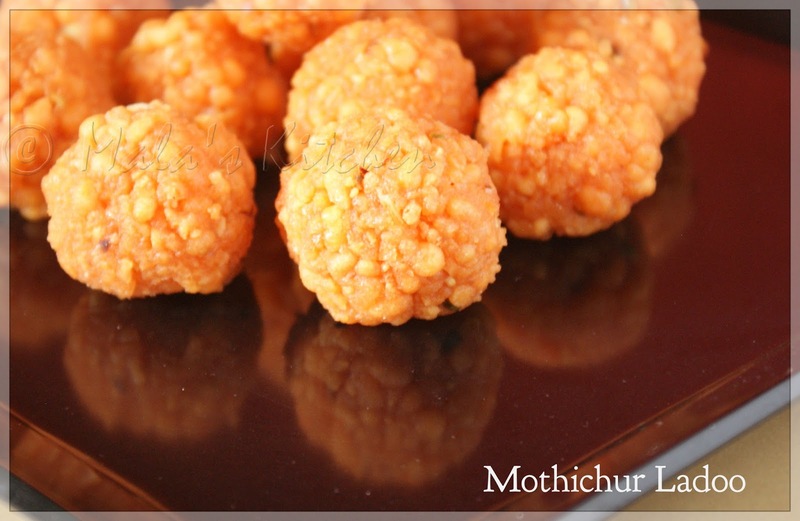 Mothichur laddo is very different than the regular boondi ladoo. There is also a difference in color and texture. 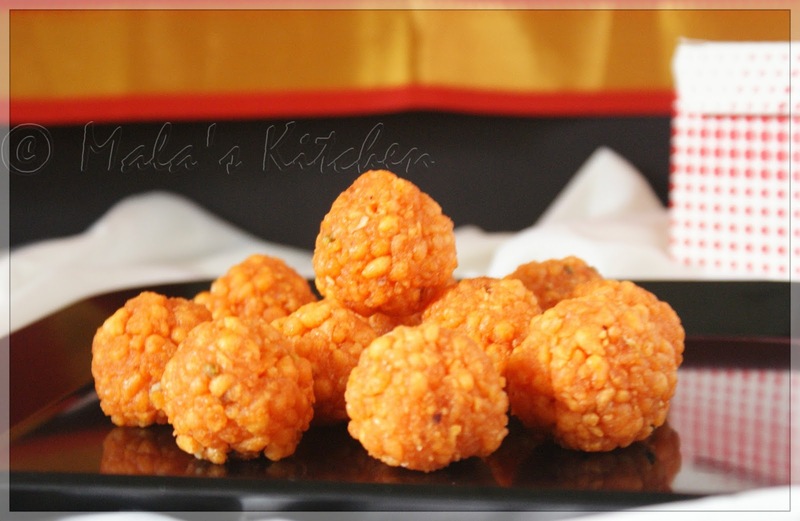 Mothichur ladoo is orange in color and made out of little pearl boondi's. This is made on joyous occassions and festivals. 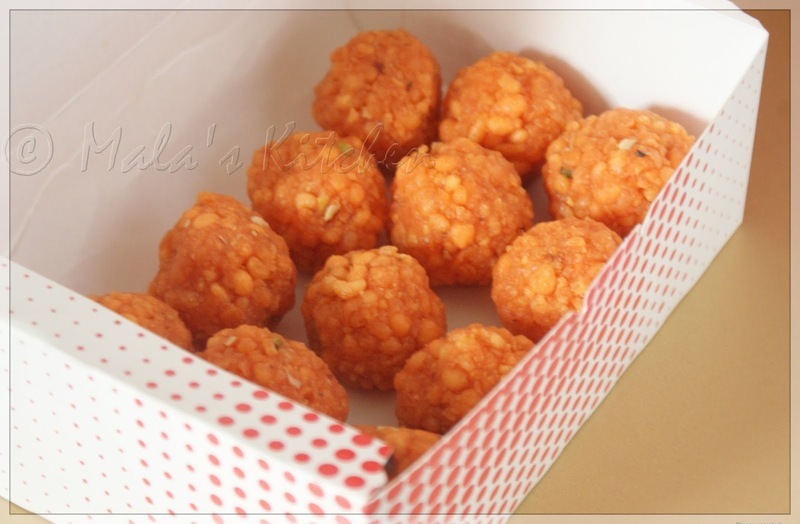 I had tried the regular boondi ladoo many times. But this is the first time I tried this and suprisingly my first attempt was a success. Came out very delicious. In a bowl add besan ,baking soda and rava mix with water and make a smooth batter not too thick and too thin. 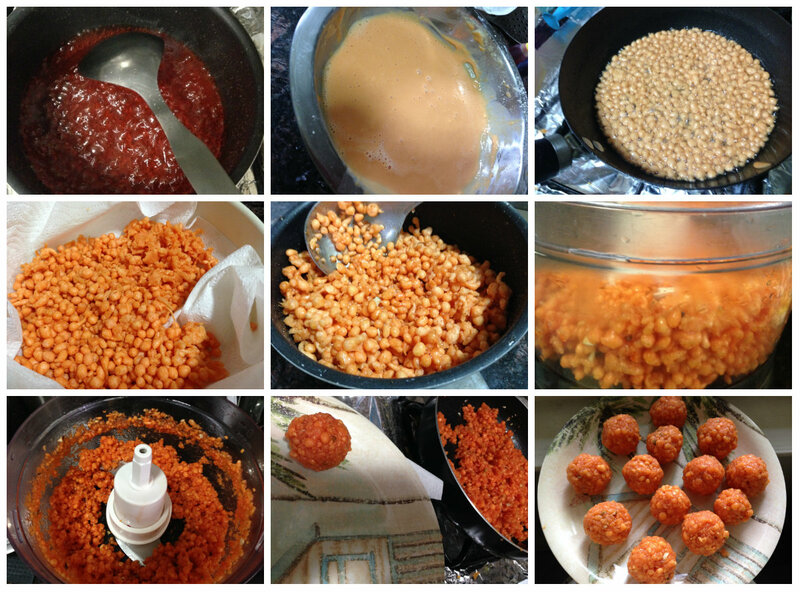 Add orange food color 2drops. Heat oil. Take a small holes perforated ladle. Pour a ladle full of batter and slowly rub the batter and fry till crispy. Remove and drained into paper towel. Mix all the boondis into sugar syrup and switch on the gas slightly mix and pour the ghee. Remove from the gas stove.